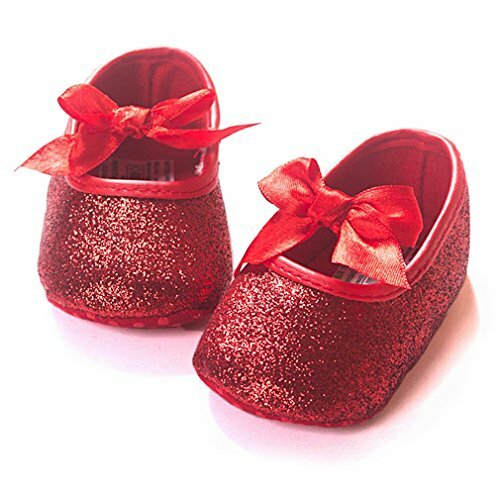 SIZE: 11cm=Suggest 0-6 months,12cm=Suggest 6-12 months. Due to every baby is different, pls choose the size according to your baby's feet length. Note: Due to manual measured, 0.5cm-1cm is allowed; Due to different compute, the color may be a little different. Thanks for your understanding. If u have any question, please don't be hesitate to contact us, we will reply ASAP.